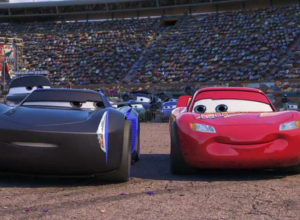 Lightning McQueen may be a legendary name in the Piston Cup Championship history, but as time wears on, space must be made for the racing cars of the future. He has to start realising that his days of being a freshly-painted rookie are long over, and with each generation the champions only get stronger and faster. He's not coming first anymore because of the expertly designed newest vehicle models; in fact, he's just suffered a major crash at the Los Angeles International Speedway which has put him out of action for some time. But he's just not ready to pack it all in just yet, even with competition the likes of the high-tech Jackson Storm. 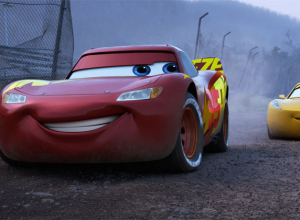 McQueen enlists the help of an enthusiastic young race technician named Cruz Ramirez, who teaches him that there are ways he can make it to the top again - he's just got to think outside the box. 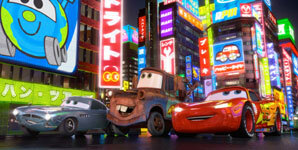 Lightning McQueen is a legendary Piston Cup champion who might have shown humility and sportsmanship in the first movie, but 'Cars 2' was all about the heroism of his best pal Mater. 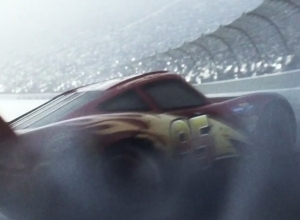 This time, Lightning McQueen is back in the front seat, but he's not quite the car he used to be. He'd seen it coming since he was a rookie, but now he's about to realise that he can't be a champion forever when the newer generation of racers display a velocity that he can't begin to compete with. He's been forced out of action, but he's determined to continue what he loves to do. No longer able to rely on his old friends, he enlists the help of a young technician who is also in the midst of planning her own winning scheme. It's been 15 years since Zoolander hit movie screens in 2001. So why did it take so long for Ben Stiller to return to one of his most beloved, iconic characters? "We probably would have made a sequel the year after the movie came out," he says, "but nobody came to see the first one in the theatre really, so no one wanted it." 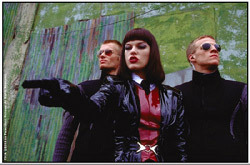 Of course, the film is considered a cult classic around the world. So the time finally seemed right for the actors to revisit the characters. 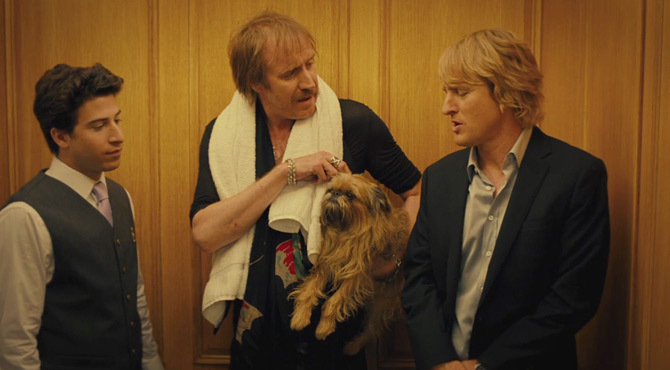 "Comedies don't always translate cross-culturally," says Owen Wilson, who plays Derek Zoolander's fellow supermodel Hansel. "But the characters of Derek and Hansel have a level of ridiculousness I think people appreciate. And a kind of following developed. I noticed when I was travelling that there were a lot of people who came up to me quoting Zoolander." With virtually the same blend of wit and idiocy as the 2001 original, this fashion-scene comedy is funny enough to spark some solid laughter in between the gags that fall flat. The punchlines are simple and the characters paper thin, but this world is so ripe for parody that the rather awkward mix of in-jokes and satire can't help but hit the bullseye every now and then. 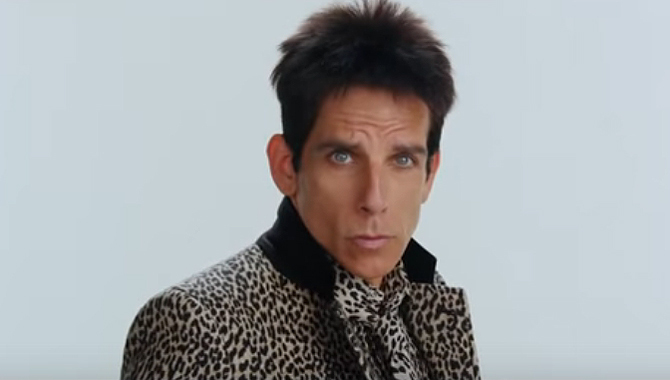 Things haven't been great for top supermodel Derek Zoolander (Ben Stiller) over the past 15 years. His reading school collapsed in tragedy, sending him to live as a "hermit crab" in the wilds of northern New Jersey. 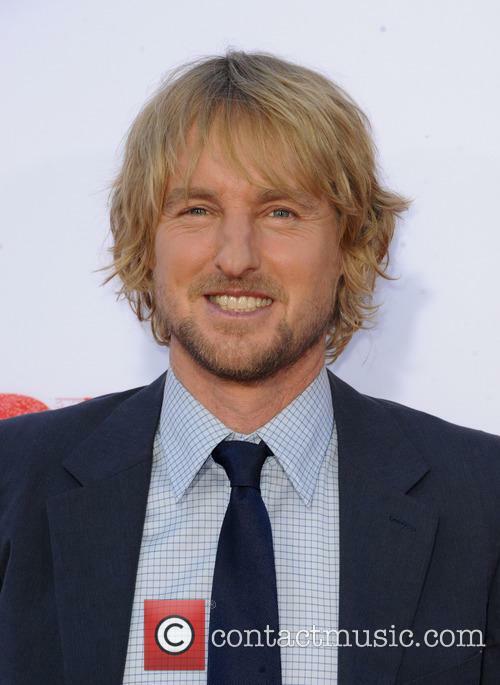 And with a facial injury, his cohort Hansel (Owen Wilson) has retired in the wasteland of Malibu. 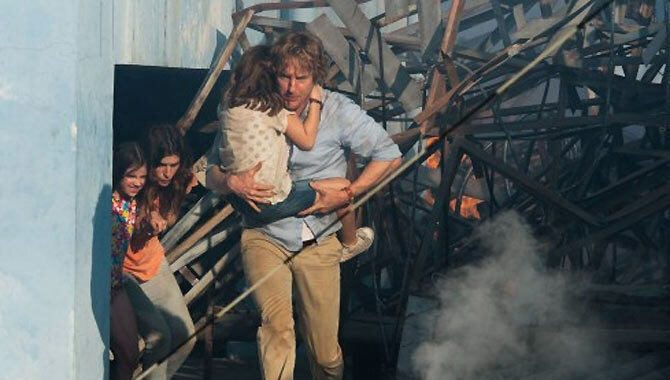 Then Italian designer Atoz (Kristen Wiig) summons them to Rome, just as Interpol agent Valentina (Penelope Cruz) is investigating a series of popstar murders that seem linked to Derek's past. Teaming up with Valentina, Derek and Hansel track down their old nemesis Mugatu (Will Ferrell), reconnect with Derek's long-lost son (Cyrus Arnold) and discover a sinister conspiracy. Stiller directs the film as if it's the next instalment in the Da Vinci Code saga, complete with shadowy secret rituals and ominous chase sequences. But the dialogue remains utterly ludicrous, as this "ridiculously good-looking" duo go through their individual existential crises, clueless that the world has moved on without them. 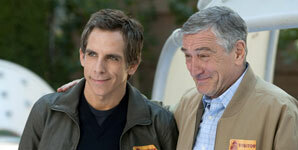 Stiller and Wilson reprise the hang-dog charm that made the characters so likeable the first time round. 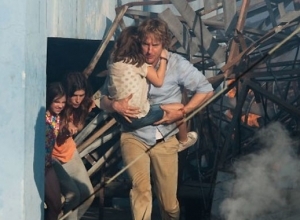 Although this time Derek gets some emotional depth, while Hansel plays the action hero. Ferrell and Wiig camp it up to the rafters in their colourful roles, while Cruz vamps through the film in bombshell love-interest mode. 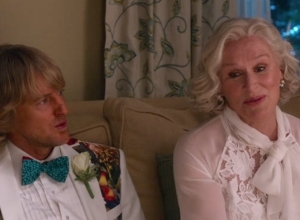 Her deadpan performance might actually be the funniest thing in the movie. And each scene is packed with big-star cameos, some of which are genuinely amusing. There's not many positive comments on this long-awaited sequel. 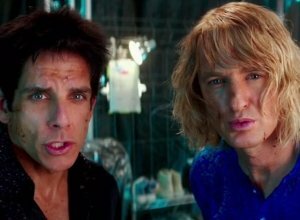 One sequel that has apparently divided critics this month is the long awaited 'Zoolander 2'; apparently not worth the wait as the ridiculous jokes have either been brutally slammed by reviewers, or wholeheartedly accepted as deliberately stupid. Either way, no-one's raving too much about the return of Derek and Hansel. Ben Stiller and Owen Wilson's return for this sequel fifteen years after the first movie, in which their male model characters attempt to save the world while saving face at the same time in the ruthless fashion industry. 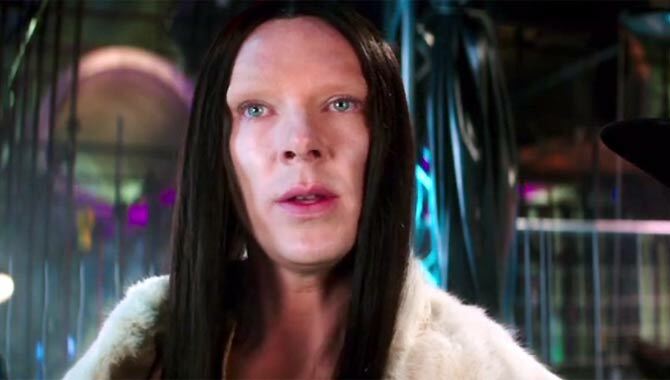 And while the original movie was praised for its silliness, 'Zoolander 2' doesn't seem to have had the same effect on many critics. 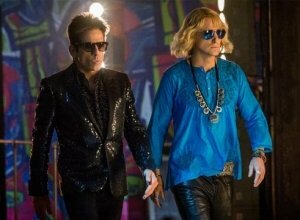 Ben Stiller and Owen Wilson made a surprise appearance on ‘Saturday Night Live’ as their dim-witted characters from the Zoolander sequel, and gave their unique insights into the pressing political issues of the day. 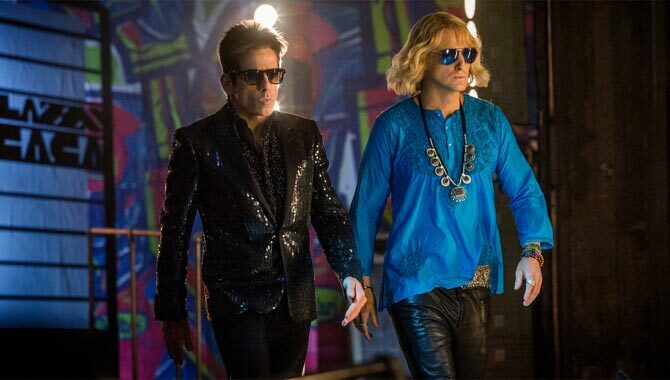 The pair have reprised their roles as Derek Zoolander (Stiller) and Hansel (Wilson) for the long-awaited follow-up to the much loved 2001 original, which comes out on February 12th, and they came in character to visit the ‘SNL’ segment Weekend Update with Colin Jost and Michael Che on Saturday (February 6th), getting huge cheers as they made their way onstage. However, their commentary on the presidential nomination races didn’t extend to much more than the candidates’ fashion senses, as they were asked about Ted Cruz, Bernie Sanders, Hilary Clinton and, of course, Donald Trump. The cast of the comedy sequel walked the blue carpet in London, serving blue steel all the way. 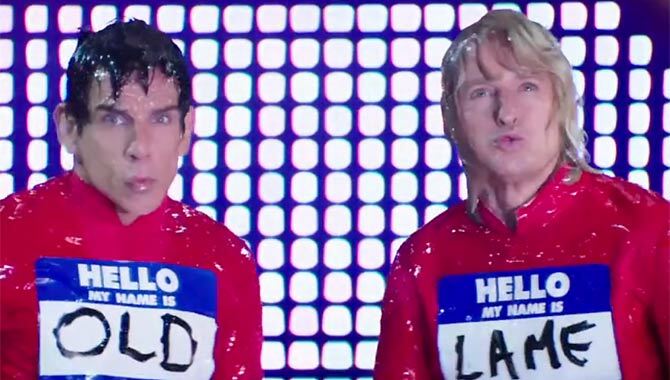 Ben Stiller and Owen Wilson brought fun, fashion and laughs to London last night, for the premiere of Zoolander No.2 in the capital’s Leicester Square. They were joined by co-stars Christine Taylor, Penelope Cruz and Will Ferrell, who all walked the special ‘blue carpet’ in honour of Derek Zoolander’s infamous ‘blue steel’ pose. 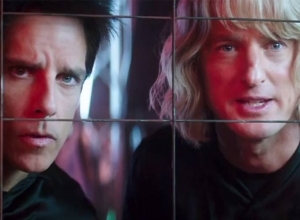 Ben Stiller and Owen Wilson at the Zoolander No. 2 premiere. But before the screening got underway, Ben Stiller managed to break a world record for the longest selfie stick, after taking a huge selfie on the blue carpet. Stiller’s special stick measured a massive 28 feet. The male model is serving some serious blue-steel on the cover of US Vogue, alongside Penelope Cruz. 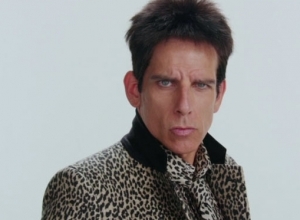 Derek Zoolander is the cover star for February’s issue of Vogue, alongside Penelope Cruz. With Zoolander 2 hitting cinemas on February 12th it’s about time the ridiculously good-looking male model landed on the cover of the world’s biggest style magazine and inside actor Ben Stiller spills on getting some of fashion’s biggest names onboard for the comedy. There are a number of fantastic movies due out in 2016. Contactmusic.com's resident film reviewer, Rich Cline talks us through some of the most anticipated. Tarantino kicks off the year with an epic Western starring Samuel L. Jackson and Kurt Russell (Jan). And there's more manly action with Charlie Hunnam in Knights of the Round Table: King Arthur (Jul), Jack Huston in Ben-Hur (Aug), Chris Pratt in The Magnificent Seven (Sep). 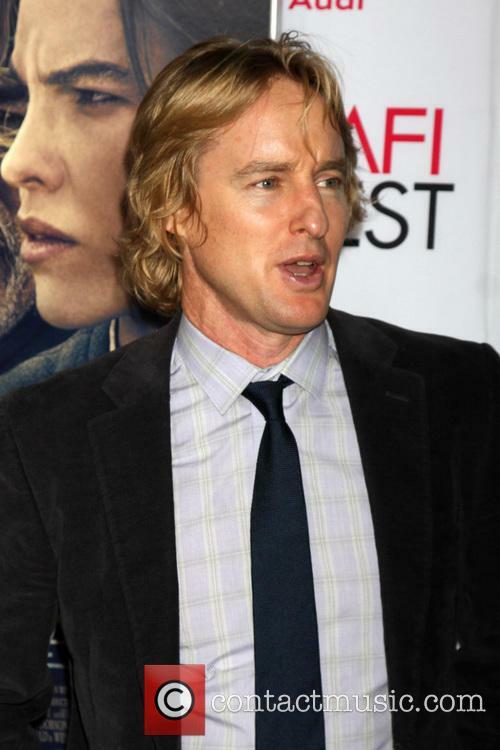 'Inherent Vice' actor Owen Wilson donned a stand-out beige suit at the premiere of the crime comedy movie held at the 52nd New York Film Festival. Wilson stars as government informant Coy Harlingen in the movie, which is based on the 2009 book of the same name by Thomas Pynchon. 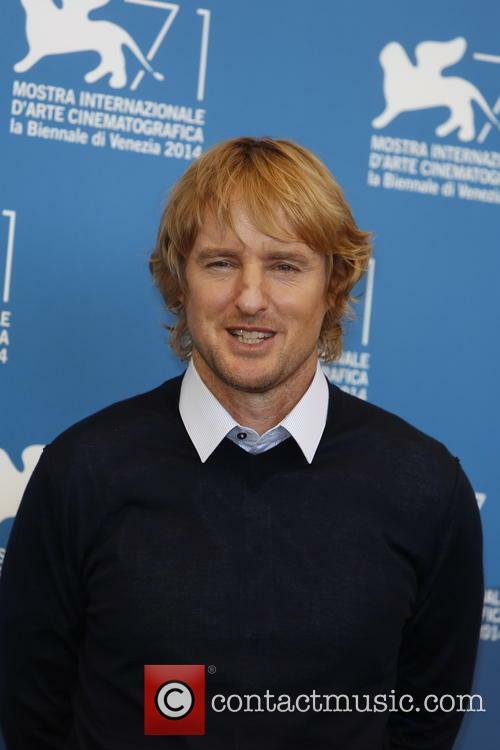 Owen Wilson and Kathryn Hahn were among the stars of new comedy 'She's Funny That Way' who appeared on the red carpet at the movie's premiere held at the 71st Venice Film Festival in Italy. The ‘Last Picture Show’ director presents a throwback to the classic screwball comedy which tickles some critics at the annual film festival. 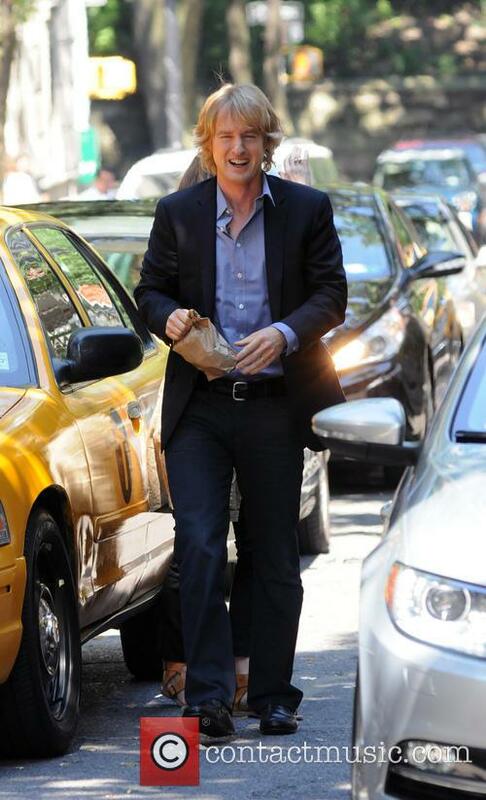 Owen Wilson is back! Well he kind of never really went away, but the actor appears to be back to his best in She’s Funny That Way, a new comedy which has just debuted at this year’s Venice Film Festival. 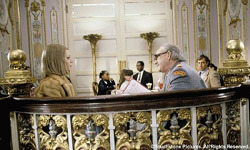 Directed by Peter Bogdanovich, who is definitely back after over 13 years away from the director’s chair, the film has been generally well received by critics since premiering at the annunal event on Friday. Wilson stars as Arnold Albertson, a Broadway director who enjoys charming call girls using lines stolen from old Ernst Lubitsch films. But at the same time Alberston also considers himself a hopeless romantic who tries to rescue his escorts, giving them money in the hope they’ll turn their life around. The actor and yoga teacher has passed away. Actor Kumar Pallana has sadly passed away aged 94, his son Dipak announced via Facebook. The short post simply read: "Dear Papa, you will be missed. Kumar Pallana 12/23/18 - 10/10/2013." 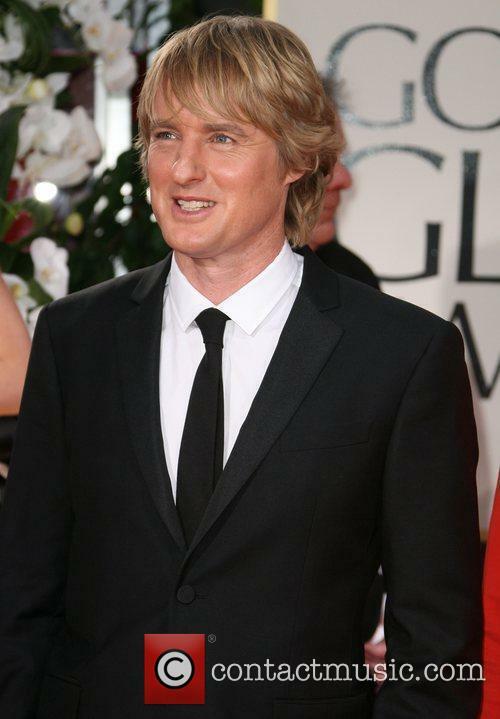 Owen Wilson Expecting A Baby With His Former Personal Trainer? 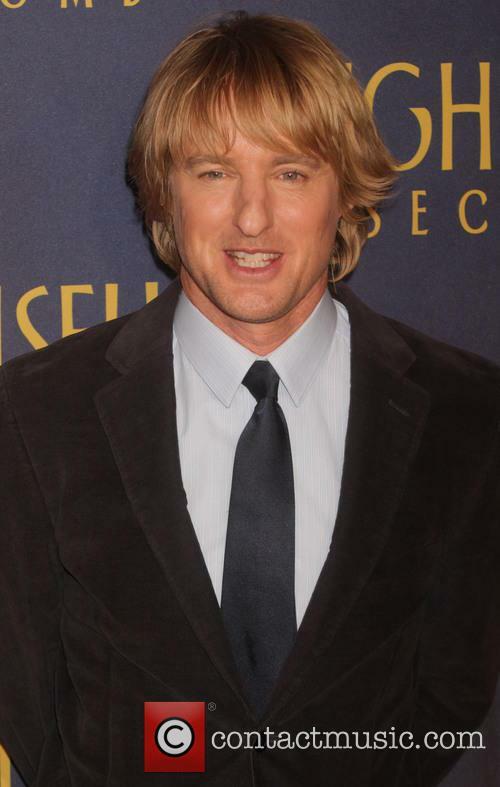 Owen Wilson is going to be a father again! He is expecting a child with his former personal trainer Caroline Lindqvist. 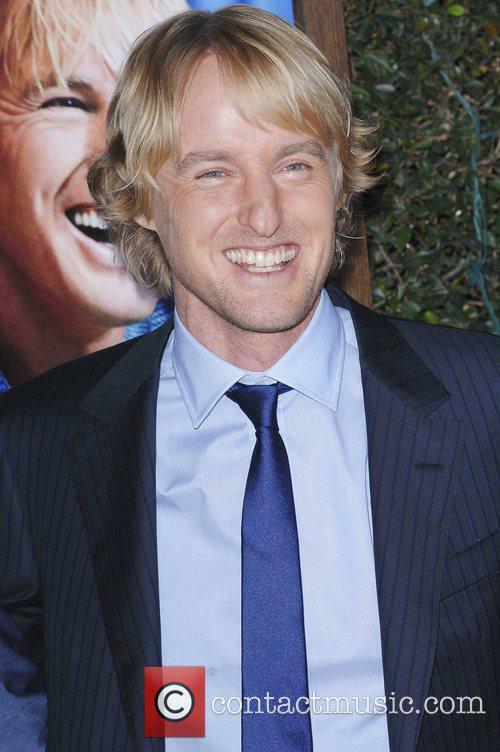 Owen Wilson is to be a father again! 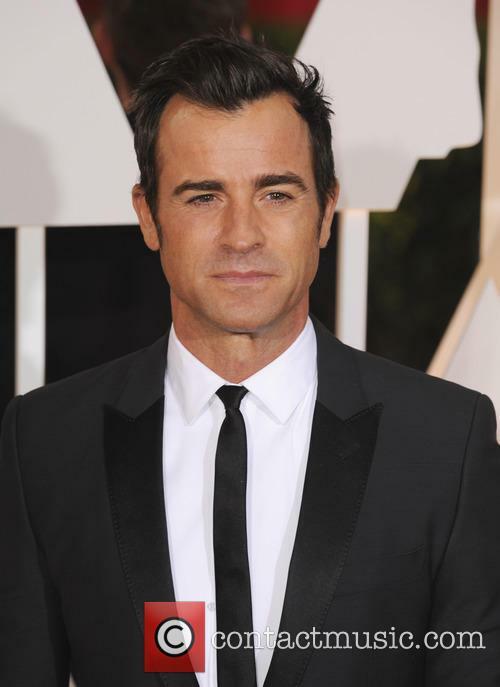 The 44-year-old actor is expecting his second child, this time with personal trainer Caroline Lindqvist. His representative confirmed the news to the LA Times on Thursday (10th October). 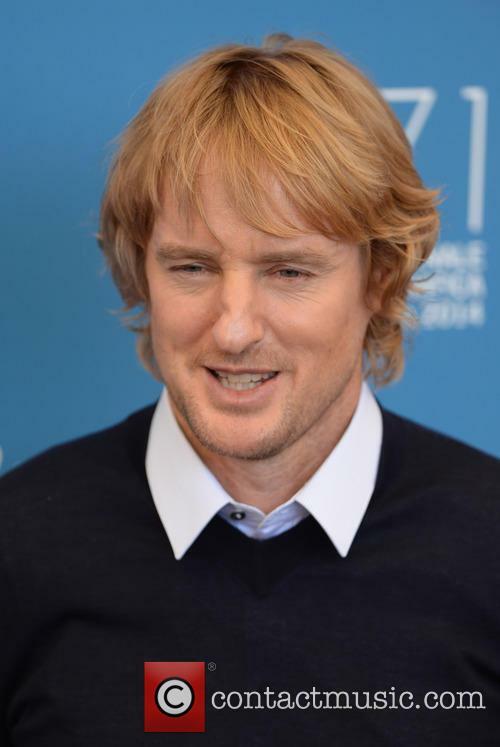 Owen Wilson is expecting a second child. 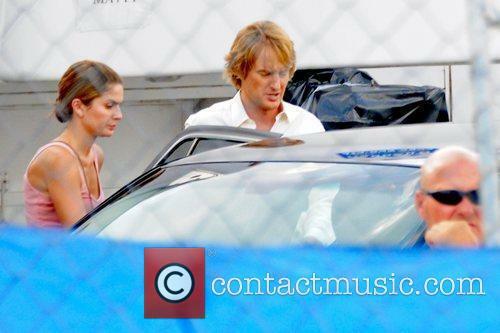 The 'Internship' actor has one child from a previous relationship with Jade Duell. Their son, Robert Ford Wilson, was born in Hawaii in January 2011. Wilson and Duell split up a few months after the birth of their son. 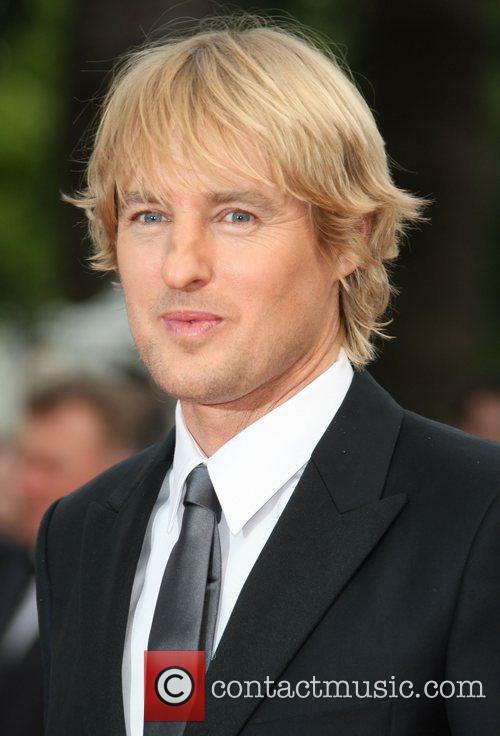 Continue reading: Owen Wilson Expecting A Baby With His Former Personal Trainer? It's a buddy comedy about Google interns - right on time for the season. 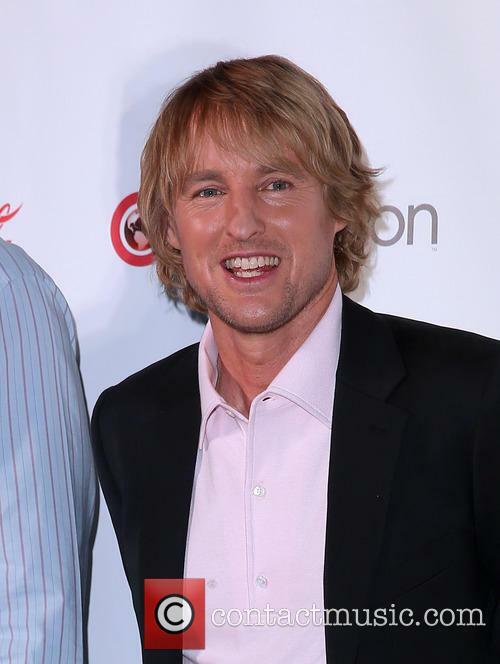 Owen Wilson is not a tech-savvy guy, though you wouldn’t know it from his latest role in The Internship, opposite Vince Vaughn. The movie tells the story of two failed salesmen, who manage to get a second chance at a career with internships at google. On the occasion, Wilson sat down with the Metro to talk about the role of a Google intern, his own experience with technology and his thoughts on second chances. Wilson attended the LA premiere of the film this week. Check out more photos from the premiere. 'Free Birds' could follow 'Despicable Me 2' and 'Monster's University' as big animated movies in 2013. The trailer for Free Birds, Jimmy Hayward's animated adventure movie, rolled out online this week. It stars Reggie the Thanksgiving turkey (Owen Wilson) who fails to convince his dumb feathered friends that they're being fattened up for the approaching festival feast, alienating himself from the group. However, things begin to look up when he is rescued by the President and begins a new life of eating pizza at his cool new pad. 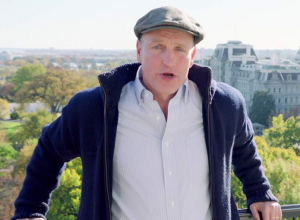 When militant turkey Jake (Woody Harrelson) shows up, Reggie's new life of peace is put on the backburner in favour of a death-defying mission to go back in time and scratch out the traditional festive dinner from history. It sounds mental. It kind of is a bit mental, but it's sure to be plenty of fun for kids and families this Christmas. When Reggie the Thanksgiving turkey fails to convince his incredibly stupid feathered friends that they are being fattened up for an approaching feast, he is soon alienated from them. However, things are looking up when he is rescued by the President and even enjoys nibbling on pizza late at night in his luxurious new home. But when militant turkey Jake shows up, it's clear that he's not destined for a life of peace as he is enlisted on a death-defying mission to go back in time to the first thanksgiving and scratch out the traditional festive dinner and save the lives of thousands of their kind. Directed by Jimmy Hayward ('Horton Hears a Who! ', 'Jonah Hex'), this hilarious animated adventure has a star-studded cast that will keep everyone - both adult and child - in rib-cracking hysterics long after it hits screens. It has been written by Hayward, Scott Mosier ('Clerks: The Animated Series'), David I. Stern ('Open Season 2') and John J. Strauss ('There's Something About Mary', 'The Santa Clause 2') and will arrive just in time for thanksgiving to perhaps persuade you to go vegetarian this holiday season. Watch it as it hits theatres in the UK on November 29th 2013. Is Wilson And Vaughn's 'The Internship' Just A Big Wet Kiss To Google? 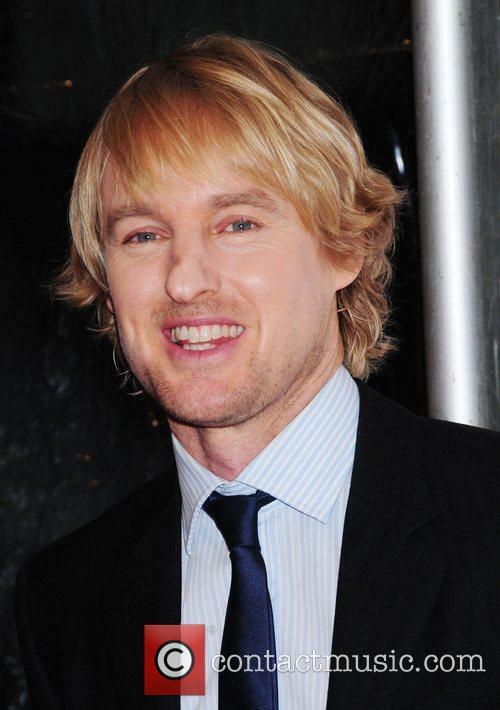 Is 'The Internship' a missed opportunity for Vince Vaughn and Owen Wilson? This should have worked. This really should have worked. The Internship - the new offering from Vince Vaughn and Owen Wilson - is a buddy comedy about salesmen Billy and Nick whose careers are torpedoed by the digital world. In attempt to prove their worth in the contemporary world, the guys land internships at Google, along with a group of precocious students and have to compete among the nation's most elite tech savvy employees. Sounds...sort of great, doesn't it? Well it's not, apparently. There was always the danger that this thing could turn into a love letter to one of the world's biggest corporations - which it really doesn't need - and it doesn't appear that Wilson and Vaughn have steered completely clear of that potential hazard. "The Internship is a big wet kiss to Google wrapped in a buddy comedy that asks us to believe that nobody over 40 knows anything about computers or the online universe," said Linda Barnard of the Toronto Star. Time Out New York called it, "A movie sorely bereft of ideas, laughs and justification for the comic duo's undifferentiating self-regard," though the Washington Post made it clear that, although the movie doesn't quite work, it's not through lack of trying from Vaughn and Wilson. The newspaper's critic Jen Chaney wrote, "The fact that this overlong, often preposterous comedy succeeds at all (which it does, only occasionally) proves that the Vaughn/Wilson charm can still work a measure of magic." Nevertheless, The Internship should perform reasonably well at the box-office this week (perhaps in the $15 million range), though audiences will have to forgive Vince Vaughn's two consecutive under-performing efforts (The Dilemma, The Watch) and put faith in his reteaming with Wilson. 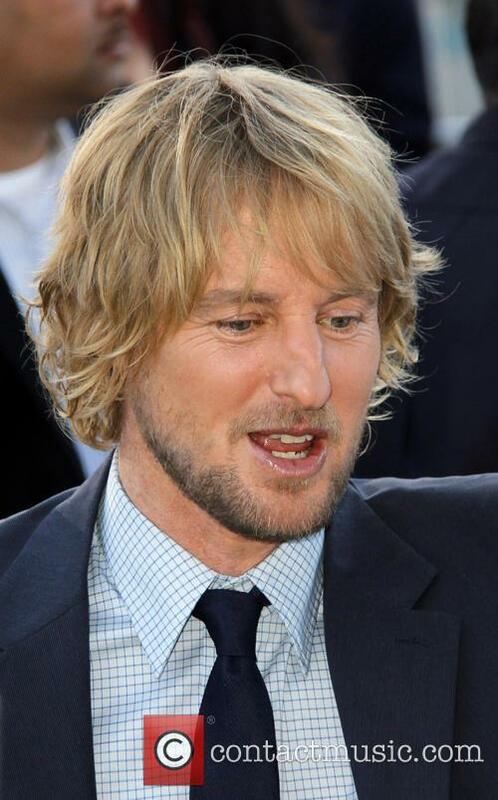 Continue reading: Is Wilson And Vaughn's 'The Internship' Just A Big Wet Kiss To Google? Vince Vaughn stars and writes the new comedy The Internship, bringing in the often used help of Owen Wilson to co-star and co-writer Jared Stern (Wreck-It Ralph,The Watch) with him for buddy comedy. 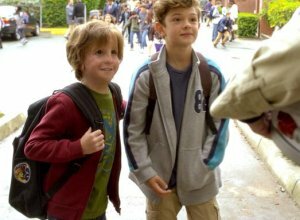 Bringing in the help of fellow light-hearted comedy veteran Shawn Levy (Night At The Museum) to direct, the film finds two recently unemployed, down on their luck average Joe's (Vaughn and Wilson), whose lives it seems have been made redundant by the digital age. Some how though (it's a movie) the pair manage to talk their way into a job a Google each; and soon realise how out of their depth they are. Don't worry though, because with their infinite wisdom of partying, the boys soon make friends. This is how internships go: you slog away unpaid for a few weeks until, hopefully, the boss turns around and hands you a contract. 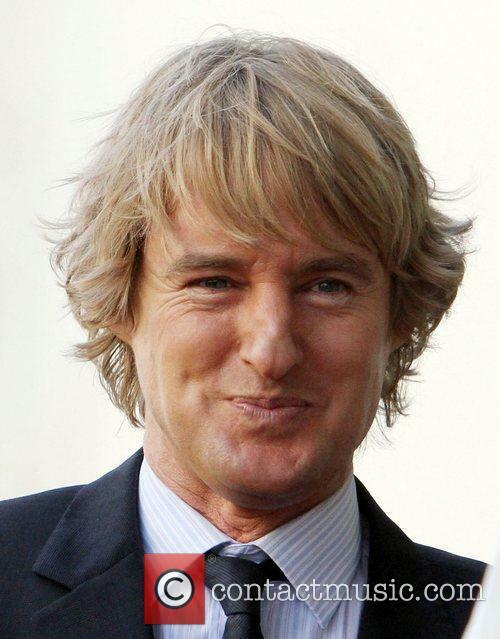 The Internship slogs away for a couple hours and no one’s offering Vince Vaughn and Owen Wilson a salary. Stars of upcoming comedy 'The Internship' - Owen Wilson and Vince Vaughn - discuss life, careers and their funny new movie in an interview. Wedding Crashers stars and comedy duo, Vince Vaughn and Owen Wilson, gave an interview from Google's headquarters ahead of the release of new comedy The Internship, in UK cinemas from 5th July. Asked what their favourite part about filming the new movie, Vaughn compares shooting the film at Google's HQ to visiting a chocolate factory: "It was pretty spectacular to be here." 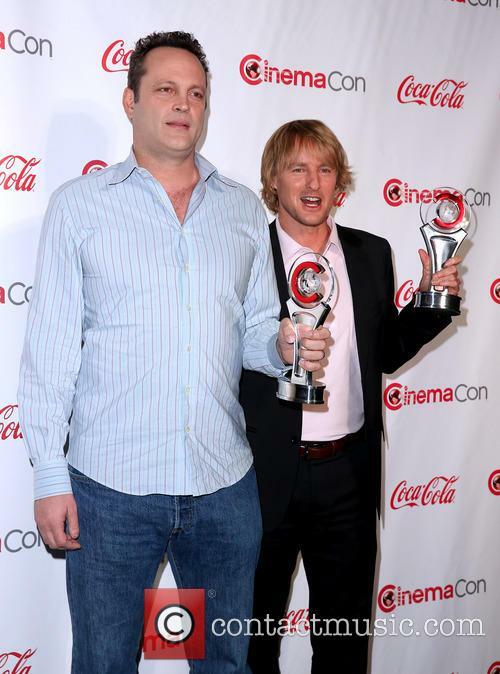 'Wedding Crashers' stars Owen Wilson and Vince Vaughn discuss their new movie 'The Internship' in an interview. They talk about how their movie is relatable, what it was like filming at Google Headquarters and their own internship experiences. A thrilled looking Vince Vaughn and Owen Wilson arrive in their car at the premiere of their new comedy movie 'The Internship' in Westwood, California. They sign autographs for fans as they reach the red carpet and look to be particularly enjoying themselves as they make their way over to the photo area. Perennial funny guys Vince Vaughn and Owen Wilson are back with another comedy, this time making light of internships and the ‘wacky’ Google offices, in which some of the film was shot. For most, the Google offices are a mystery, so filming inside them was a real treat for Vaughn. He says: "Being from the Midwest, Google always felt like The Wizard Of Oz or the Chocolate Factory (in Charlie And The Chocolate Factory). It's such a different type of place to work at than what is considered a traditional work environment. With the... access to food, the sports on campus, the massages and all that stuff." 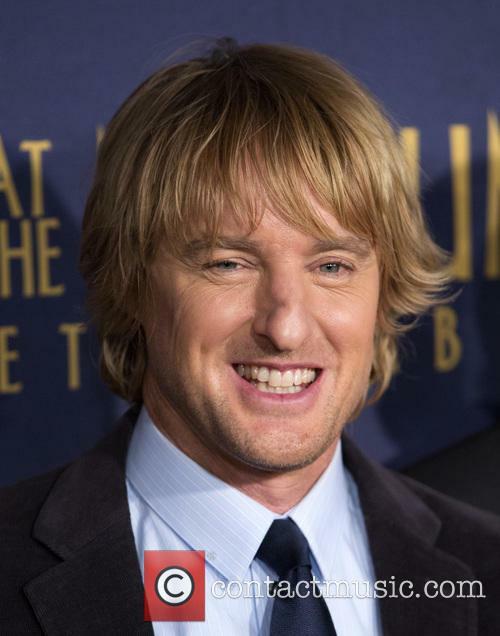 It’s a safe if uninspiring partnership: Owen Wilson and Vince Vaughn are back together as co-stars in new movie The Internship, which debuted its first trailer earlier this week. 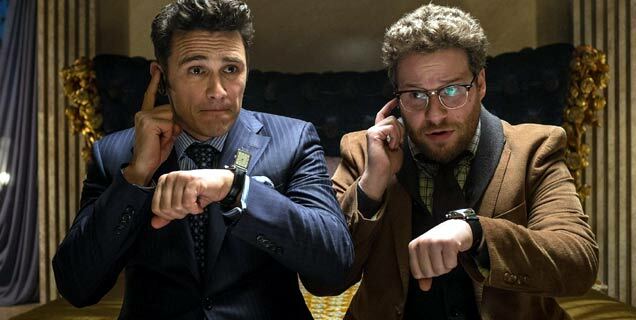 We all remember the pair’s previous jaunt together, as cheeky guys out to get laid at weddings in The Wedding Crashers, and we wouldn’t expect the humour for The Internship to be too much different from that run out in 2005. The plot stars the pair as salesmen Billy and Nick, whose careers are struggling with the digital world dominating sales. In order to prove to themselves that they’re not obsolete, the pair manage to get themselves onto an internship at Google where, playing their usual dopey, slightly slacker selves, they come up against some of the finest college minds in the USA. 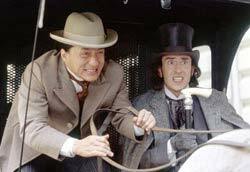 I know, larks right? 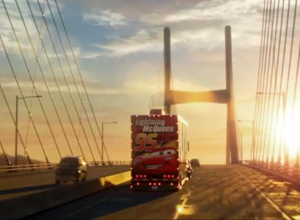 The trailer certainly suggests it, with John Goodman also making an appearance as the boss of their failing company. From the trailer it looks like a classic case of two generations colliding, with the tech-savvy college kids giving the 80’s film referencing Vaughn and Wilson the run-around. However, if we know how these films usually pan out – and we think we do – we reckon that the ageing salesmen might just have the last laugh. 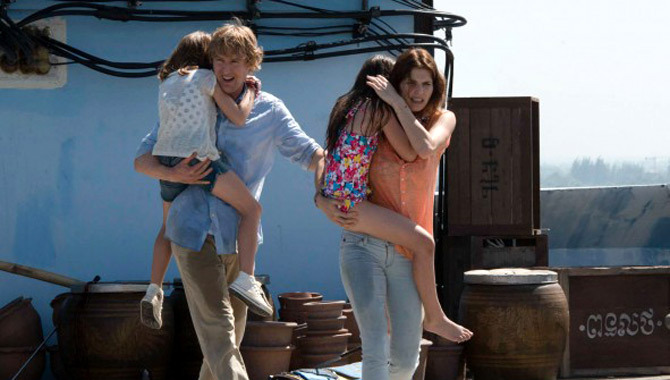 See for yourself below, the film is out in cinemas on June 7, 2013. Various famous faces were spotted at the Miami Beach Art Basel; it was the 11th edition of the show that is considered the most prestigious art show in America. One week of freedom, no questions asked with no repercussions. Fred and Rick are best friends who have both just been granted the same deal by their wives - a week off their marriages. Brooks is back with another warm, smart romance along the lines of As Good As It Gets. The snappy characters are well-played by a strong cast, which makes it steadily entertaining even if it's not hugely believable. Professional softball player Lisa (Witherspoon) and businessman Paul (Rudd) are strangers who are set up on a blind date by a mutual friend. But they discount the possibility of even meeting because Paul has become serious with his girlfriend (Conn) and Lisa is seeing a star baseball player (Wilson). Then their lives both take a turn. Lisa is cut from her team, and Paul becomes the target of a Federal investigation into the business he runs for his father (Nicholson). As their paths keep crossing, they begin to see each other in a different light. As usual, Brooks writes extremely clever dialog that blends brainy sassiness and emotional resonance, and the film is packed with scenes in which characters have all kinds of lucid insight into the nature or relationships, usually in contrast to someone who's extremely clueless. The formula is a bit of a strain, but it keeps us engaged, mainly because the script crackles with hilariously incisive one-liners and comical gags. And the cast members all play their roles as if they're sliding into comfy slippers. Witherspoon and Wilson are funny and laid back as well as effortlessly astute and oblivious, respectively. 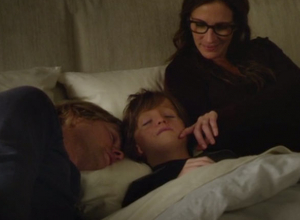 Rudd is breezy and adorable even as his life is flooded with sadness. Nicholson squirms a bit in an against-type role but comes up with some fine comical moments. And everyone is hugely likeable, even when two of them do rather nasty things to the other two. Although actually they only think nasty thoughts, because the film never gets very down and dirty about the story's dark corners. It's one of those films that skims happily across the surface while making pointed observations that catch us off guard because they seem to reveal something about the nature of relationships. This leaves us feeling warm and thoughtful, even if the film ultimately fades from memory in about the time it takes for the lights to come up in the cinema. Since being cut from the USA softball team Lisa hasn't been having the best time of it, her relationship with her professional baseball pitcher boyfriend isn't as strong as she'd like and there's not much else going on in her life; until she meets George in a lift, George is instantly infatuated with the beautiful Lisa and so begins a love triangle, but who'll win out? The business man in the middle of a crisis or the baseball player? Marmaduke is perhaps the world's most famous Great Dane, he was originally brought to life in a newspaper comic strip drawn in the 1950's by Brad Anderson. Now Marmaduke is set to make his motion picture debut. When the Winslow family (along with Marmaduke and their cat Carlos) make a move to LA, Marmaduke pictures the perfect life from now on, after all - LA is home to some of the best dog parks in the world! However, when he arrives, the parks are great but how could any dog from outside LA deal with all the rivalry between Mutts vs. Pedigrees! It might take Marmaduke a little longer to find his 'pawing' than he first thought. Family isn't based on sweet kisses on the cheek. Affection between parent and child is not established by saying the magical phrase "I love you." Instead, the strongest conversations often come through in stares and sarcastic remarks. As the old saying goes, you only hurt the ones you love, and family members are usually first in line. This adage is wholly true for the Tenenbaums, a charismatic dysfunctional family set in a slightly surreal New York City. With an all-star cast and crisp dialogue, this film does what many other films of its genre lack -- it creates a family environment that is entertaining as well as easy to relate to. In Zoolander, the world's most successful, influential and intellectually-challenged male model Derek Zoolander wonders, "Is there more to life than being really really really good looking?" Obviously, the film's creator and star Ben Stiller asked a similar question when crafting a feature-length movie out of his hilarious VH1/Vogue Fashion Awards short-film subject: Can there be more to this film than being really really really silly? No, of course not, and it never aspires to be anything more. 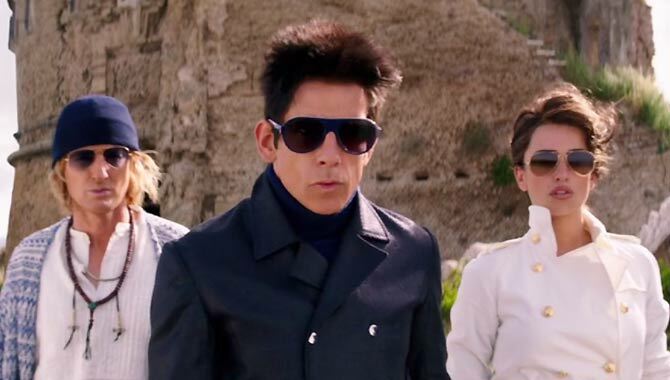 Much like Derek, Zoolander is a sweet simpleton of a movie. It's not complex in either its social commentary or its comedy, and it never produces any gut-busting laughs (except maybe a scene when Derek's model roommates all die in a tragic "gasoline fight" accident -- a riotously funny take-off of Tommy Hilfiger ads). But it has a satisfying handful of strong chuckles, wild characters and performances, and mildly harsh potshots at the fashion industry to keep you amused. Better yet, this exaggerated version of the original three-minute skit is only blown out to an efficient 95 minutes -- just enough time to string together its goofball plot without exhausting the gag. Near the end of The Big Bounce, Owen Wilson's character tells the woman who has just conned him, "I have to be sober to tell this story." In my opinion, only a drunk would be able explain (or BS) his way through this mess of a movie, a remake of an equally bad film of the same name from 1969. Both films are based on the novel from acclaimed author Elmore Leonard, and though Leonard may be able to pen a worth-reading novel, it's plain to see that transposing his words into a worth-viewing film is often an impossible task. 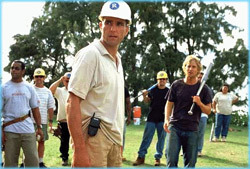 In this Bounce, Wilson plays vagabond Jack Ryan, a man who's bad luck and bad choices have landed him on the North Shore of Oahu where he takes a job in construction working for shady hotel developer Ray Ritchie (Gary Sinise) and his assistant Bob Jr. (Charlie Sheen). It's not long before Jack gets fired and finds new employment as a handyman at a complex of vacation bungalows owned by Judge Walter Crewes (Morgan Freeman). While working for Crewes, Jack becomes enamored with Nancy Hayes (Sara Foster, the poor man's Bridget Fonda), Ritchie's sexpot girlfriend and house-sitter while he escorts his wife (Bebe Neuwirth) on shopping trips in Honolulu. Nancy has a plan to milk Ritchie out of $200,000, and she needs Jack's help to pull it off.